Car accidents can happen out of nowhere, and car accidents that involve multiple vehicles can be especially devastating. These accidents can cause injury to many people at once and leave them suffering from determinantal injuries. We must all remember the duty of care we have to one another when behind the wheel and do our part to prevent accidents. On June 4, a 1990 Dodge pick-up truck being driven by Forest Sidelinger was going northbound on Route 1 when Sidelinger attempted to turn around and pulled in front of a 2016 Mercury being driven by Robert Miller. The pick-up truck was then pushed into a 2017 Ford Focus being driven by Sarah Stewart. Police heard of this accident and arrived on the scene to find that multiple people had sustained injuries in this collision. Melissa Sidelinger suffered minor injuries but was not taken to a hospital. Miller was transported to a nearby hospital with head and neck injuries, and a passenger in his vehicle was also taken to the hospital to be treated for head and neck injuries. Car accidents like these can cause severe injuries to victims. 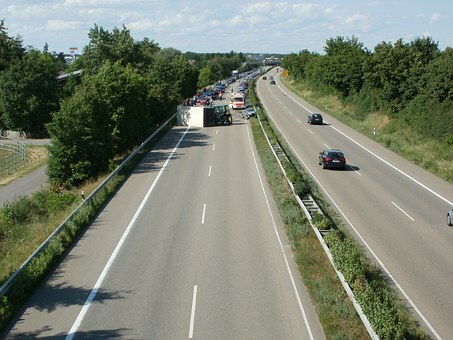 Accidents that involve many vehicles can increase the risk of serious damage occurring. Sometimes these accidents can even be fatal. It is essential for all drivers to follow the rules of the road and remain aware of their surroundings as reckless driving can be lethal. We the Law Offices of Jeffrey S. Glassman are members of the community, and we are passionate about raising awareness on the importance of safe driving. We ask all drivers to remember to remain aware of what they are doing whenever they are behind the wheel. However, we know that accidents can happen to even the safest drivers, so we are also here to ensure victims get the help and assistance they need to recover.